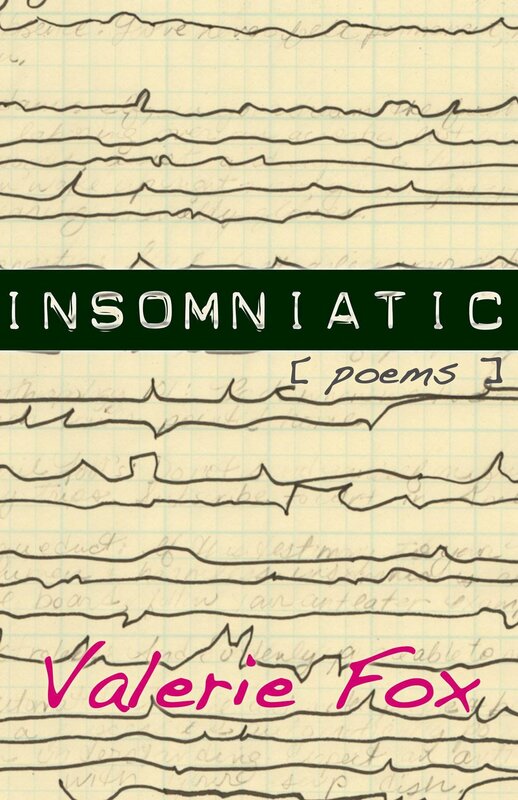 Insomniatic by Valerie Fox is a poetry chapbook. It's short, but it packs a punch, and I was intrigued from the first page. I love poetry of all kinds and have been a fan my whole life, but there's something very unique about this collection. There's a review on the back of the book by Rose Hunter and she says, "Insomniatic throws the reader into a world of interruptions and disjunctions, strange dreams and experiences. Who is having the experience? Who are we when we dream? Where is the line between dreaming and waking?" She captured the essence of the book so completely. That's how I felt when I read it. Like those thoughts you get at 3:00AM when your eyes are heavy, but your mind is racing and not entirely coherent. And then you descend into restless sleep, filled with dreams that flash by and make your heart pound. And you wake up and try to describe what you saw. That's the best way I know how to describe how these poems made me feel. From "Insomnia": But lately, we are all afraid / to call upon one another / unless the meeting has been pre-arranged. From "A Watch in a Dream": When I look at her backwards / long enough / it starts to reveal something normal / and deep. I enjoyed reading Insomniatic and give it 4 out of 5 stars. If you're a fan of poetry, I really recommend you check it out because it's so unique. "Insomniatic" (poems) asks the question: Who are we when we dream? Valerie Fox’s books of poetry include The Rorschach Factory (2006, Straw Gate Books) and The Glass Book (2010, Texture Press). She co-wrote Poems for the Writing: Prompts for Poets with Lynn Levin. Bundles of Letters Including A, V and Epsilon (2011, Texture Press) is a collaborative book with Arlene Ang. "Scarecrow Lists of Failures and Grocery Items" (a collaboration with Ang) may be found here, at Thrush. For more about Valerie and her work, click here. To read more of her poems, click here. Thank you to Poetic Book Tours for coordinating this review. Follow along with the Insomniatic Book Tour here.